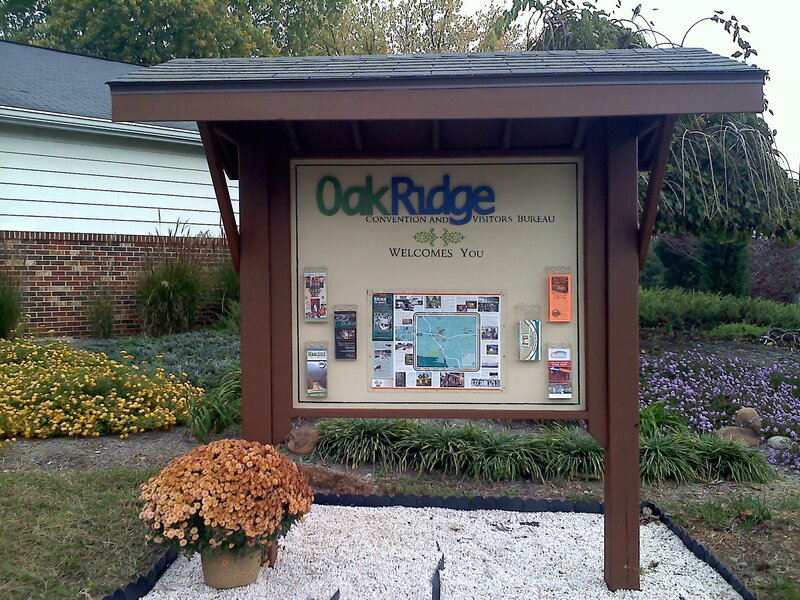 In 1981, when my husband, Rich Norby, was recruited by ORNL, we looked around the area and chose to buy a home in Oak Ridge for its sense of community, its green spaces, its cultural assets, the public services that a city provides, and a house we liked. We’re still here. Our adult son was born here and attended our excellent schools; I’ve spent three decades as an environmental scientist on the research staff in the ORNL Environmental Sciences Division; and after years of other types of civic service, in 2007 I was elected to Oak Ridge City Council. Many of my civic activities have a theme of ensuring that our city and region are safe and attractive places to live and work, including advising SOCM on technical aspects of acid mine drainage, 16 years on the city Environmental Quality Advisory Board (EQAB), work in the 1990s on the city Greenways Master Plan and the East Fork Poplar Creek Citizens Working Group, serving as a member of the board of directors of the now-defunct Oak Ridge Reservation Local Oversight Committee (LOC), and helping to found and continuing to serve on the boards of both Advocates for the Oak Ridge Reservation (AFORR) and Keep Anderson County Beautiful. I see City Council membership as a public trust. Council members are entrusted with responsibility to make financial and policy decisions on behalf of our fellow citizens. I hope that my continual effort to do what’s right for the city and its citizens has given city voters the confidence they need to re-elect me to another term. My five years on City Council have taught me that neither our city government nor individual Council members have the power to enact our personal agendas or visions for the future. Often we are concerned with decisions related to running the city, or we are responding to the opportunities and challenges that present themselves — many of which could not have been foreseen when we ran for office. Maintain, enhance, and take advantage of our assets: schools, neighborhoods, natural environment, historic legacy, science and technology leadership, etc. Council’s best action in my five years in office was making a good hire for city manager. Under Mark Watson, there has been real progress against chronic problems such as neighborhood blight. In a council-manager government like ours, it is pretty much a given that the single most important thing the Council does is to choose and employ a good city manager. It’s the manager, not the council, who directs the rest of the city staff and runs the city on a daily basis. When city manager Jim O’Connor left for another position at the end of 2009, we had to recruit and select a new manager. Mark Watson arrived in the summer of 2010. Change didn’t occur overnight, but after two years it’s clear that his personnel actions (such as the hiring of Police Chief Jim Akagi), the policy initiatives he’s brought to Council, and his day-to-day direction to staff, have made inroads against some chronic problems in the city. Council’s biggest shortcoming has been our failure to undertake a critical examination of the city’s economic development efforts. The results we have achieved aren’t commensurate with the amounts we spend on marketing, lobbyists, special events, etc. In a typical year, Oak Ridge spends over $900,000 of our city budget in the name of “economic diversification.” That money goes to the Convention and Visitors Bureau for tourism promotion; to the Chamber of Commerce and several other regional economic development organizations for business recruitment and promotion; and to the city’s lobbyists in Washington, DC, and Nashville. 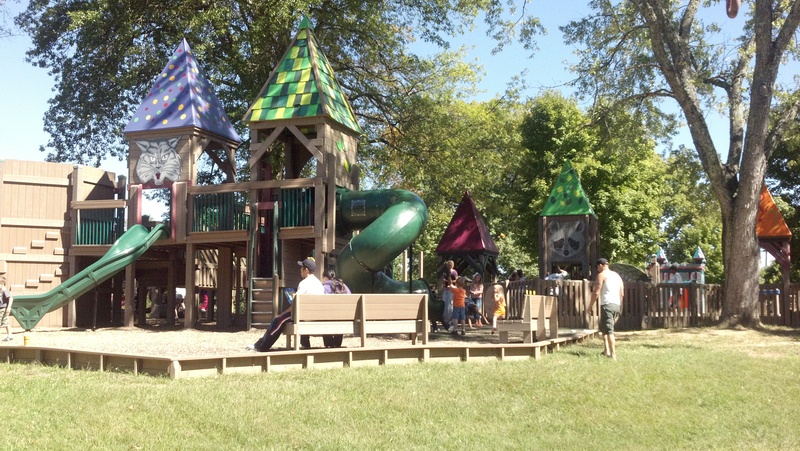 It also pays for all or part of a variety of special events, such as the Secret City Festival, July 4th fireworks, and “Secret City Sounds” concerts on summer evenings. These things have been supported year in and year out because of a general perception that they are good things for the city to support. In addition, business incentives such as tax abatements are a cost to the city, and the city Industrial Development Board uses funds obtained from public resources to pay for infrastructure improvements, spec buildings, and other activities at industrial parks and other business properties. In total, city government spends a good bit more than $1 million a year on economic development. For the most part, these are things the city should continue to support. However, I don’t think that the expenditure over 1 million dollars a year is achieving the amount of benefit we ought to expect from that amount of money, so we are overdue for a critical evaluation of this entire program. Council is not qualified to devise a new strategy for economic development, but we need to try to measure the return on our investment, ask why Oak Ridge is supporting a particular set of activities — and whether decisions made long ago still make sense, seek recommendations on actions and strategies that might produce better results, and ask what is the right amount for the city to be spending on these efforts. Ideally, a re-examination of the city’s economic development activities would happen annually. Under our charter, City Council consists of citizens elected to represent their friends and neighbors in making decisions for the common good. I am attracted to this kind of civic service. I seek re-election to help Oak Ridge make wise choices, ensuring value for our money, and aiming for a prosperous future without sacrificing what makes our city special (like neighborhoods, schools, city services, natural environment, and atomic heritage). Pick up a copy of Thursday’s Observer or subscribe to the online edition to see the other candidate’s answers. Editor Stan Mitchell will be running a new question for all area candidates every week from now until the election. I agree with most of the sentiments expressed in the September 13th editorial about the Kroger Marketplace project, but I was troubled by the suggestion that eminent domain might have been used if property owners hadn’t voluntarily accepted the developer’s purchase offers. Some people have told me they were afraid they could be forced to sell their homes to this retail developer, but I don’t think there is a valid basis for this concern. First, this is a private initiative. 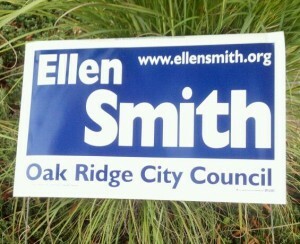 It is not sponsored by the Oak Ridge city government, nor (as far as I know) any other government. Secondly, Tennessee law allows eminent domain (condemnation) to acquire property only for “public use”, not for a private economic development such as a retail store. A Municipal Technical Advisory Service publication entitled “Eminent Domain in Tennessee” discusses the allowable purposes for eminent domain under Tennessee law. I suppose that a clever lawyer might be able to stretch some of the allowable purposes (such as the redevelopment of a blighted area) to justify acquiring a residential neighborhood for a shopping center, but that couldn’t happen without government action — and probably some nasty litigation. In the case of the site for the Kroger Marketplace, the neighborhood as a whole is not blighted — and no one ever approached me, as a City Council member, to suggest that the city government should help acquire the land for the project. As the editorial indicated, the development team deserves to be commended for successfully assembling the property for this project through voluntary purchases. We don’t need to speculate about what they would have done if property owners didn’t agree to sell, because involuntary acquisition by eminent domain wasn’t a realistic option. Here’s the press release I sent out a little while back to announce that I’m running for re-election. It’s appeared in The Oak Ridge Observer and on Oak Ridge Today, but I haven’t seen it in The Oak Ridger yet. Oak Ridge City Council member Ellen Smith, who was first elected to Council in 2007, has announced her candidacy for re-election in the November 6, 2012, city election. Ellen Smith is an environmental scientist on the research staff in the Environmental Sciences Division of Oak Ridge National Laboratory. Originally from Connecticut, she is a graduate of Carleton College (Minnesota), where she majored in geology, and she holds a master’s degree in water resources management from the University of Wisconsin-Madison. She and her husband, Rich Norby, have lived in Oak Ridge since 1981. They have one adult son who was born and raised here and attended Oak Ridge Schools. Before her election to City Council, Ellen was a 16-year member of the city Environmental Qjuality Advisory Board (EQAB), serving for several years as its chairman. She represented EQAB and later the City on the Board of Directors of the Local Oversight Committee, chairing that body from 2007 until 2011. She is a member of organizations including the League of Women Voters and Altrusa, and is a founding member of both Keep Anderson County Beautiful and Advocates for the Oak Ridge Reservation, on whose boards she serves. As a City Council member, she has added to her understanding of local government and worked to build connections with other communities through conferences and other activities of the National League of Cities and the Tennessee Municipal League, as well as by completing Level 1 of the Municipal Technical Advisory Service’s Elected Officials Academy and several additional classes. Currently she is participating actively in the five-county Plan ET regional initiative. Some of her earlier volunteer civic activities include being a charter member and officer of the East Tennessee Chapter of the Association for Women in Science in the 1980s; participation in the 1992-1993 Greenways Task Force that developed a master plan for what is now the city greenway network, the 1992-1994 Lower East Fork Poplar Creek Citizens Working Group, and a late 1990s city task force that investigated and made recommendations on karst problems; and service as a volunteer leader in Linden School Cub Scout Pack 226. Ellen’s website at www.ellensmith.org provides information about the candidate and her current campaign, as well as blog postings and other commentary posted over the 8 years since the website was established.